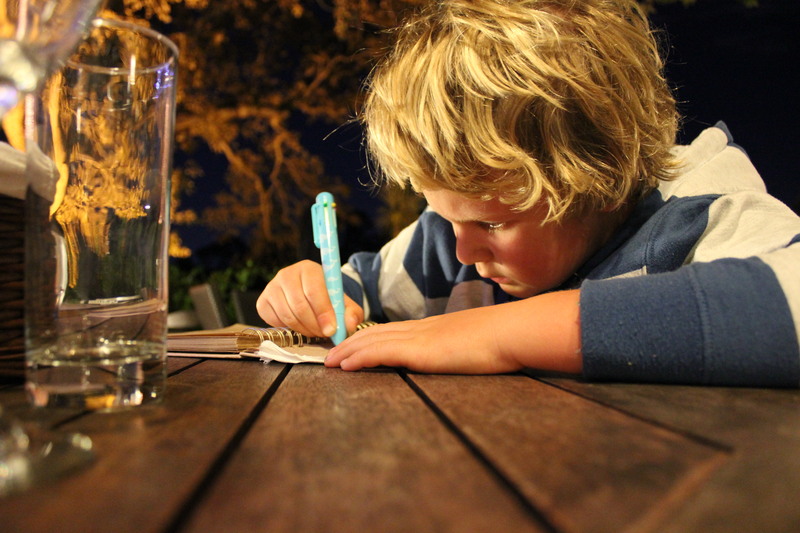 Sometimes when we eat out, it appears my little scholar gets ‘struck’ by inspiration, only to lay down his pen when food arrives. And then again when my food arrives…. and so on. Maybe he should write a cookbook?